The seventeenth episode of Magical Crypto Friends begins with a brief presentation of stylish cartoony sneakers that use the show’s graphics. Though it’s unlikely that the world of fashion would embrace this design, it would be unwise to doubt the eccentricity of the crypto community. After this humorous introduction, the four Bitcoin lovers (who also indulge in appreciating some certain altcoins to which they might just be affiliated) talk about the Magical Crypto Conference. In a nutshell, they brag about having the best speakers in the industry, not compromising on the quality in order to give sponsors some talking slots, and covering most areas of interest in the crypto world. Cypherpunks like Adam Back, Peter Todd, and Andrew Poelstra will be covering the technical and development side, then there will be a dedicated section for Lightning developers who even kick-off the event, and the event even features some mainstream finance participants such as former SEC commissioner Troy Paredes and Deloitte Tax Partner Rob Massey. If you would like to find out more about the guests who will be holding presentations during the event, check out the exclusive Crypto Insider coverageor go straight to the official websiteand maybe buy some tickets. As a disclaimer, you should know that Crypto Insider is a media partner of the event and will also provide coverage during this year’s Blockchain Week. If all of this sounded a little too good to be true, then Charlie Lee ruins it with a joke about potentially having a dedicated panel for scammers. 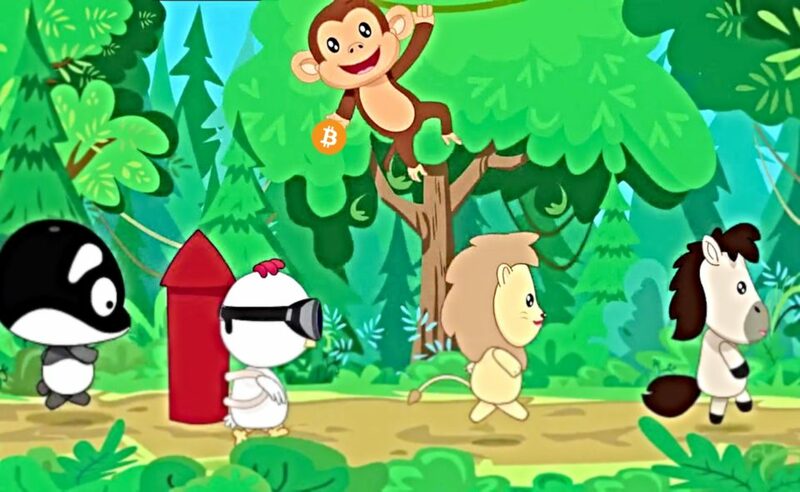 The four friends laugh at the idea of inviting people who (more or less secretly) hate Bitcoin, and then move on to an important issue: some folks don’t distinguish between the show and the conference, then assume that the $300 ticket is an admission fee to watch a live episode of Magical Crypto Friends. This is wrong, and if you still didn’t understand what the concept is about, you should check the link of the official website above. Though Whale Panda, Charlie Lee, Riccardo Spagni, and Samson Mow agree that it’s unlikely that they will break even with the costs for hosting such an event in New York, they still confess to hoping to have a similar show on all continents of the world, preferably as frequently as passible. Of course, the fruition of such a project depends on the success of this first attempt which Crypto Insider also supports. VIDEO: Watch an exclusive interview with Charlie Lee, as he talks about the present of future of Litecoin. As Whale Panda and Samson Mow point out, Jesse Powell (CEO of the Kraken exchange) has basically mocked Coinbase’s poor decisions by presenting a company report about the risks involved in acquiring various blockchain intelligence teams worldwide: Hacking Team wouldn’t have made the cut for both competence and ethical reasons, but could have been the cheapest to overtake. Charlie Lee, a former Coinbase engineer, agrees that the company shouldn’t have doubled down on their decision to acquire Neutrino (whose leaders are associated with the controversial Hacking Team group). He mentions the days when employees would be able to sit in the same room with CEO Brian Armstrong and confront his potential bad decisions, and affirms that there are definitely people who dislike the acquisition of Neutrino for both ethical and professional reasons – the intelligence group might even modify their code on the go or track it in unpleasant ways. Nevertheless, Mr. Chikun thinks that the people joining the #DeleteCoinbase movement are mostly users who no longer use the exchange. Whale Panda agrees and mentions how Coinbase has been one of the exchanges of his choice thanks to the higher listing price, though he stopped using it after the bear market began (and eventually deleted his account after liquidating it). Riccardo “Fluffy Pony” Spagni adds that many Coinbase users have onboarded the exchange thanks to referral links and recommendations from non-technical people who found the interface convenient. However, he believes that the recent events will deter many of these recommendations and switch them to another service. VIDEO: Watch and exclusive interview with Riccardo “Fluffy Pony” Spagni and Tari Labs’ Kayle Sharrock. According to the leading Monero developer, Neutrino is the last straw that broke the camel’s back, after a long series of issues from the past (including Brian Armstrong’s controversial positions in relation to Bitcoin and the decision to list XRP despite regulatory uncertainty). Samson Mow contributes by saying that Hacking Team has previously gotten hacked, which means that their services aren’t as groundbreaking and security-proof as the PR departments might say. He also states that the weakness of Brian Armstrong can be found in his excessive amount of doubling down on decisions and never taking a step back to aplogize and resolve issues. If an exchange is owned by Binance and makes use of their native token, then can it still be called a decentralized platform? This is a dilemma which Whale Panda introduces by implying that the DEX name exists more due to marketing considerations. Charlie Lee opens up a discussion about the meaning of the word “decentralized”, and how a company like Binance might regard a lesser amount of control as actually eligible for the label. Centralization and decentralization, after all, depend on the individual’s perception and expectations of the terms. Riccardo “Fluffy Pony” Spagni takes it even farther by suggesting that he once asked money from the exchange in order to have the privilege of listing Monero – and this funny situation came as a response after receiving a pricing offer from a cryptocurrency exchange. This mention sparks a humorous exchange about Monero finally getting traction on social media with a hashtag that is as catchy as #XRPtheStandard. The four friends finally settle for #XMRNavi as a reference to navigation and Fluffy Pony’s tragic boating accident which made him lose all of his private keys. The main argument here revolves around Jamie Dimon’s change of heart, as he spent quite some time criticizing Bitcoin in 2017 and 2018, but now decides to create a cryptocurrency for the specific needs of JP Morgan (on a private blockchain, that is). Riccardo “Fluffy Pony” Spagni mentions that despite the apparent internal use case, the long-term plan should be that of extending the monetary service to other banking institutions too. Samson Mow suggests that JPM Coin is a better version of Ripple, and then Charlie Lee quickly replies that he doesn’t really see it. This leads to a funny reply where the Litecoin creator gets called an XRP maximalist. Whale Panda also contributes to the discussion by saying that the planned stablecoin project is made by the bankers for the bankers, and has greater chances than XRP to get traction within the traditional financial sector. For a few moments, the discussion returns to the conference and the difficulties of financing all operations. That’s why the Magical Crypto Friends jokingly imply that they should issue a pre-mined utility token of which they hold 90%, just to really get rich off of their event. As previously reported by Crypto Insider in 2017, the Coinomi wallet is far from perfect. Yet the events that took place in late February with the spellchecker API truly demonstrate a lack of sound security measures: in a nutshell, several desktop wallets have been hacked after the Google spell checking tool has sent the seed keys (or mnemonics) to a third party server from where someone could simply access the funds. Charlie asks if the spell-checking function was enabled for everything that was being typed, or if that was an exclusive feature. Then the situation turns into a joke which questions the need for such functions in wallets that are meant to be secure. Mr. Lee even mentions that he Googles his seed keys just to make sure that they’re unique and nobody uses them. Riccardo “Fluffy Pony” Spagni takes it farther by suggesting that a similarly-unwise security choice would be to post all mnemonics on Twitter, with the exception of one – just to see if anyone else has the exact same. Charlie also mentioned that there are plenty of bad ways to store your seed keys. Then WhalePanda brought to attention the conspiracy theory according to which every line of the Bitcoin Whitepaper contains a letter of a secret seed key which unlocks a big treasure wallet. Samson inquires, in the same humorous tone that characterizes this whole discussion, if someone has tried to input “Banks on brink” and try to figure out how to get to the secret Satoshi funds. After Fluffy Pony implies that it’s all a hash of Craig Wright, Whale Panda suggests a topic change to the Lightning Torch. The consensus about Hodlonaut’s LN torch is that it pushes the Lightning developers to increase the channel limit. Samson acknowledged that after a certain threshold, the game has become a challenge even for cypherpunk Adam Back, as the maximum amount had to be changed from the code or the invoice had to be split. Whale Panda adds that the fact that people debug and put their programming knowledge to good use is great for the project. Furthermore, Charlie Lee implies that Proof of Work inventor Adam Back has cheated when he split the invoice in two parts, to which Samson replies that the cypherpunk has segregated the torch (a reference to SegWit and the UASF days which ignited the Magical Crypto Friends show). Whale Panda adds that the fact that people debug and put their programming knowledge to good use is great for the project. Furthermore, Charlie Lee implies that Proof of Work inventor Adam Back has cheated when he split the invoice in two parts, to which Samson replies that the cypherpunk has segregated the torch. Mr. Panda also approaches the topic of Lightning FUD that altcoins push as a way of surviving on a market that deems them obsolete. Fluffy Pony goes on to mention the issues with bad technical analyses where facts get made up to build a narrative that favors a certain cryptocurrency. Whale Panda then goes on to read about the story of Jason Smith, who claims he can’t pay salaries via Lightning while the BTC on-chain fees are about 5 cents. Samson points out that the account must be trolling, as sending monthly payments worth thousands should automatically imply a couple of dollars in fees. Charlie adds that Lightning could eventually support large transactions, but that defeats the purpose. Furthermore, Riccardo Spagni presents the case of Bitrefill and how they innovated the market in ways that weren’t initially envisioned. The argument is meant to emphasize on the fact our present-day Lightning Network that we have now is not the final form and we should be looking forward to greater innovations that we don’t even see right now. As a response, Whale Panda brought forward the case of the internet in 1990 and how it was thought to be a completely different network. Also, the situation of Alex Bosworth of Lightning Labs and the way he annoyed one of the main writers of the LN whitepaper with his ideas for changes is yet another example of continuous innovation. Samson Mow references Christian Decker who was also one of the founders of Lightning and currently works at Blockstream on c-Lightning. In a nutshell, the innovative developer who invented duplex micropayment channels before the first Lightning whitepaper was drafted, has acknowledged that the initial LN design wasn’t perfect and needs constant refinements. In response, Riccardo Spagni mentions that Lightning is game-changing because it doesn’t follow the same consensus rules as Bitcoin, has multiple teams developing it, and can be patched quickly and without the risk of causing inflation bugs or other issues found in the first layer. Samson goes on to compare Lightning with the early dial-up internet connections which were only a phase of the network, and not the final state which onboarded most people. Whale Panda decides to briefly change the topic and ask the audience which one of the four Magical Crypto Friends is the oldest, and then proceeds to make dial-up modem sounds along with Fluffy Pony. The next important news that gets discussed is Facebook’s rumored cryptocurrency, which was presented in a New York Times articleas the invention which succeeds to attain the mainstream adoption that Bitcoin didn’t get. Charlie Lee is the first to mention that a centralized coin is uninteresting, then ironically implies that Bitcoin has obviously failed. Samson Mow points out that Nathaniel Popper, the author who came up with the controversial editorial conclusion, has also written a book about Bitcoin which is called “Digital Gold”. Furthermore, the cute anthropomorphic lion suggests that this attempt to create a Facebook currency is not even new: before Facebook Coin, there were the Facebook Credits that failed as an internal currency.